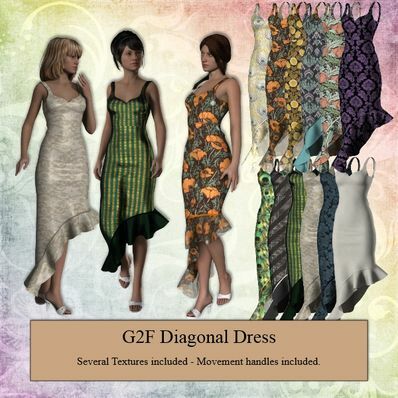 A Diagonal Dress for Genesis 2 Female for use in Daz Studio 4.6. Beautiful dress! She'll be stepping out in style :) Thank you for your generosity always! Where would so many of be without your fantastic (and free) stuff - long may you reign! I love downloading your stuff since it always loads perfectly. Thank you again for all your efforts. Wow! Very elegant and refined. Thank you! Thanks dear Lady for this lovely elegant dress. Yet another great item. Thank you! sieht schick aus Danke !!! Fantastic I love the design and the textures! Marvelous my dear!